Travelling Kungkarangkalpa in the digital dome. Photos: Sarah Kenderdine, Peter Morse and Paul Bourke. 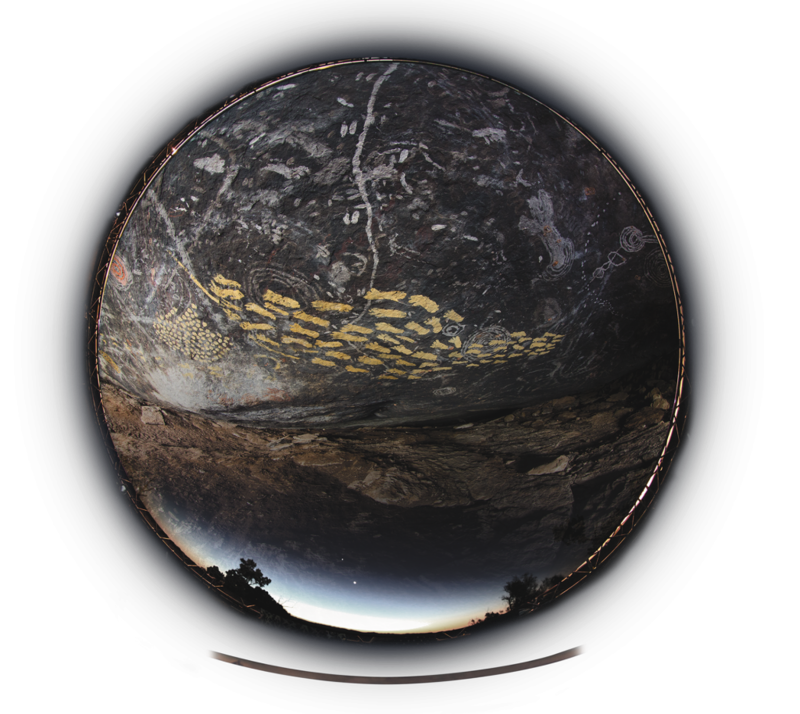 Seven Sisters rock art with permission of Walinynga (Cave Hill) traditional owners. Via the National Museum of Australia. An exhibition that attempts to tells the stories of the Seven Sisters Dreaming by using Indigenous ways of passing on knowledge. The Seven Sisters songlines are among the most significant of the extensive creation tracks that crisscross Australia.